2015 Reprint of 1957 Edition. Full facsimile of the original edition. 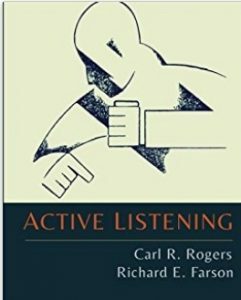 “Active Listening”, first developed by Rogers and Farson, is a therapeutic technique designed to promote positive change in the client. 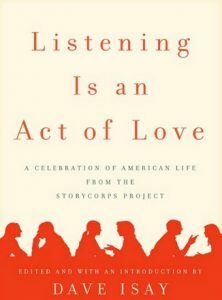 Active listening is a communication technique used in counseling, training and conflict resolution, which requires the listener to feed back what they hear to the speaker, by way of re-stating or paraphrasing what they have heard in their own words, to confirm what they have heard and moreover, to confirm the understanding of both parties. It continues to have a lasting influence to this day. 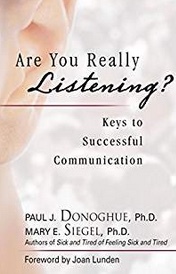 Active listening is a person’s willingness and ability to hear and understand. At its core, active listening is a state of mind that involves paying full and careful attention to the other person, avoiding premature judgment, reflecting understanding, clarifying information, summarizing, and sharing. 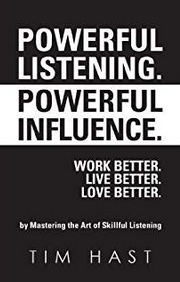 By learning and committing to the skills and behaviors of active listening, leaders can become more effective listeners and, over time, improve their ability to lead. Listening is an essential skill worth every effort to learn and to master. It opens us to the world around us and to the persons who matter most to us. 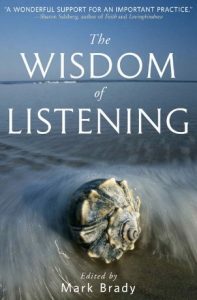 When we listen, we learn, we grow, and we are nourished.Why do we often feel cut off when speaking to the people closest to us? 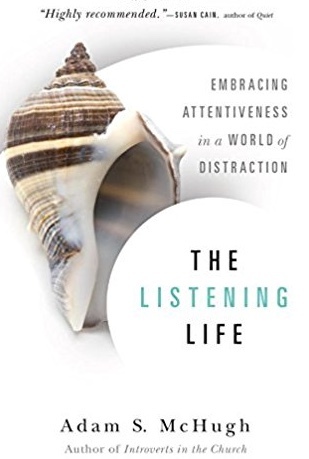 What is it that keeps so many of us from really listening? 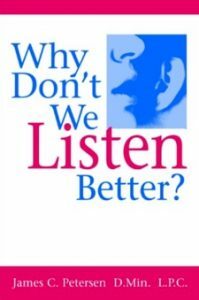 Practicing psychotherapists, Donoghue and Siegel answer these questions and more in this thoughtful, witty, and helpful look at the reasons why people don’t listen. 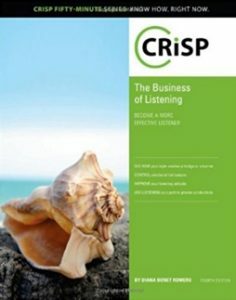 Filled with vivid examples that clearly demonstrate easy-to-learn listening techniques, Are You Really Listening? is a guide to the secrets and joys of listening and being listened to. 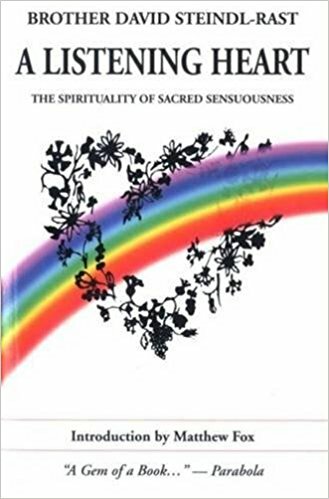 In this book, Brother David Steindl-Rast, who has been a monk for more than 50 years, argues that every sensual experience—whether the joy of walking barefoot or the fragrance of the season—should be recognized as a spiritual one. There are over 2000 scripture verses that include the words listen, listening, hear, and hearing — depending on Bible translation. Let there be no doubt that God’s Word is sending a strong message – BE QUICK TO LISTEN! 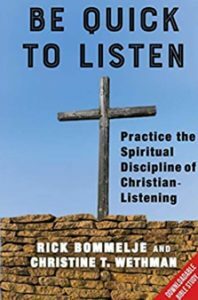 This book offers you practical wisdom on how to listen better to God, yourself, and to others in ways that will enrich your life and strengthen your faith. World-renowned restorative yoga teacher Jillian Pransky came to the practice of yoga to heal herself. 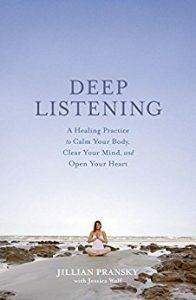 In Deep Listening, Pransky presents her signature Calm Body, Clear Mind, Open Heart program–a 10-step journey of self-exploration that she’s taught around the world. Derived from the techniques that healed her, the practice of Deep Listening invites you to pay close attention to your body, mind, and heart. This is the new frontier in integrative wellness–mindfulness designed for healing. “The Business Skills Express Series” covers a broad range of key business skills and topics in a fast, interactive format that should appeal to employees, managers, and trainers alike. 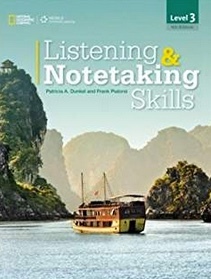 These authoritative books deliver training and give readers new ways to increase productivity and career satisfaction. 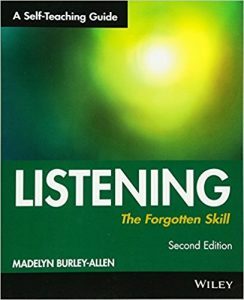 This book covers effective listening skills. 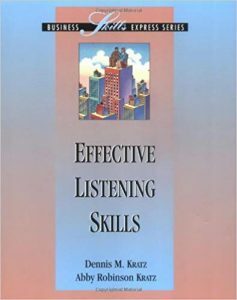 Expository Listening is your handbook on biblical listening. It is designed to equip you not only to understand what true, biblical preaching sounds like, but also how to receive it, and ultimately, what to do about it. Only when pastors hear beyond the words, can they care-fully minister. Pastors listen all the time. Or do they? Listening is more than a developed skill; it is an awesome gift of hospitality offered to others. 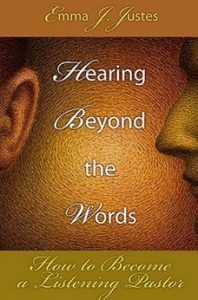 According to Dr. Emma Justes, hearing beyond the words signifies an intimate relationship characterize by humility, thoughtful availability, vulnerability, and mutuality. 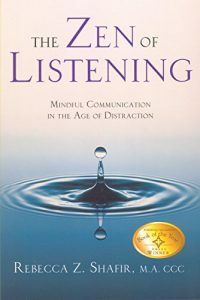 Listening requires focused attention and openness. To help the reader learn this essential skill, the author includes exercises at the end of each chapter to build needed competency for this healing ministry. 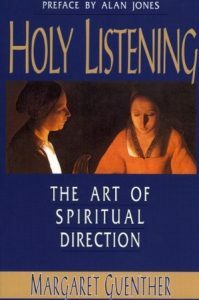 Margaret Guenther uses the images of the spiritual director as host, teacher, and midwife to describe the ministry of spiritual direction today. How might listening more deeply to your body change the way you listen to God? A stroke at age 31 forced Whitney Simpson to slow down and listen more deeply to her body. 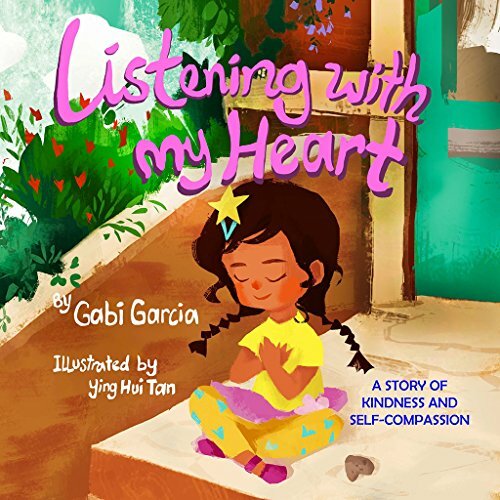 As she journeyed toward healing, she found several ancient practices helpful in connecting her body and spirit, which ultimately helped her listen more closely to God. 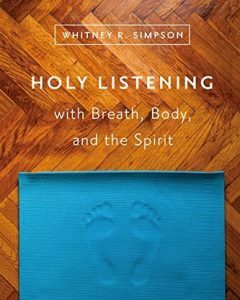 This 40-day book of meditations guides you to listen to God through lectio divina (meditative scripture reading), yoga, breath prayer, and aromatherapy. It provides suggestions for small groups, descriptions and illustrations of yoga postures, and chair modifications for the yoga postures. 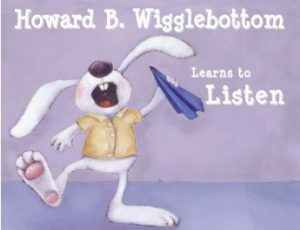 3- 8 year old children, parents and teachers love Howard B. Wigglebottom. In this story, Howard gets into a lot of trouble for not listening. 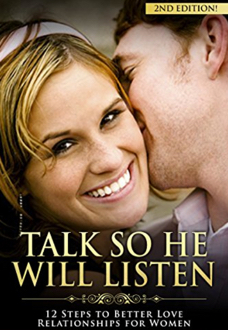 When he becomes a better listener, his life improves dramatically. 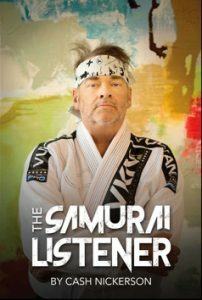 Tips and lessons and a poster are included. 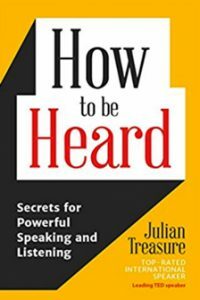 How to be Heard includes never-before-seen exercises to develop your communication skills that are as effective at home as in the boardroom or conference call. 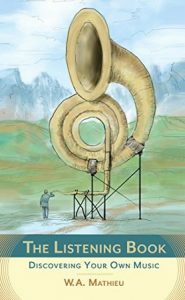 Julian Treasure offers an inspiring vision for a sonorous world of effective speaking, listening and understanding. No relationship is perfect–but it can be better. The secret to stronger relationships isn’t to become more charming or funny or to solve the world’s problems or to just try harder. All you have to do is listen. It’s that simple. Often the purity and the freshness of your initial experience with God becomes clouded by the daily routine of life. 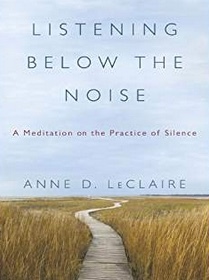 The clamor of other voices obscures your hearing, leavingyou confused and frustrated with your relationship with God. 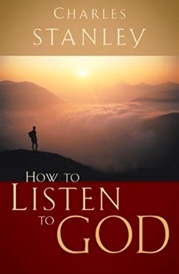 How to Listen to God helps you distinguish God’s voice from all the others. A woman has a powerful influence on the man in her life. But in order to empower him to become all he was meant to be, she has to be able to talk so that he will listen, and listen so that he will talk. Author Rick Johnson shares with women the secrets to bringing about positive change in the men in their lives and shows them how to recognize and affirm his good qualities. The first step in persuading anyone to do anything is getting them to hear you out. But whether the person is a cynical colleague, furious customer, or overwhelmed spouse, their emotional barriers may be blocking your message. And if you can’t break through, you can’t move forward. 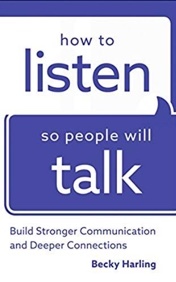 Just Listen has helped tens of thousands of people tear down walls and establish productive communication. 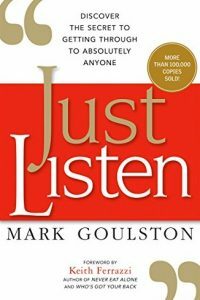 In this landmark book, veteran psychiatrist and business coach Mark Goulston reveals simple, proven techniques for moving people from resistance to consensus. 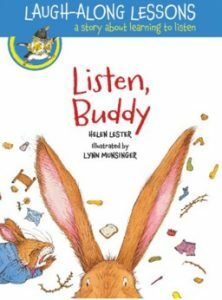 A hilarious romp about a bunny who just can’t seem to listen. He is constantly confusing instructions. For example, when his parents ask for a slice of bread, he saws off a piece of his bed. But everything changes when he takes a wrong turn and meets up with Scruffy Varmint. 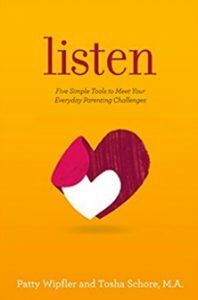 Listen introduces parents to five simple, practical skills even the most harried parent can use. These tools will help parents strengthen their connection with their child and help build their child’s intelligence, cooperation, and ability to learn as they grow. 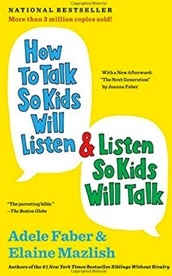 The book delivers detailed information accompanied by more than one hundred real-life stories from parents who’ve used this approach to address the root causes of their child’s difficult behaviors. Phillis Gershator’s rhythmic verse and Alison Jay’s intricate images come together beautifully to celebrate the sounds of the seasons, from summer to autumn, and winter to spring. 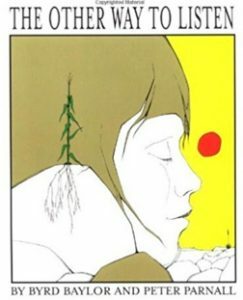 Today’s educational system is broken, an archaic process based on a colonization that is both dulling and ineffective. We need to tap into the creative souls of children, listen to them, and acknowledge that students and teachers alike are suffering. If we approach educating our children from a life- and soul-affirming place, they will begin to thrive. 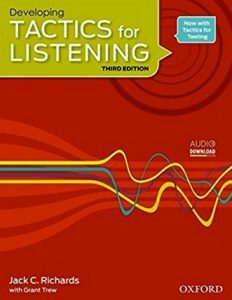 A handbook for effective communication focuses on developing long-neglected listening skills, discussing different listening styles, exploring techniques for maintaining people’s interest, showing how different age groups listen differently, and much more. The secret to leadership and transformation of a group–or of another person–is the quality of the relationship one person has with another. 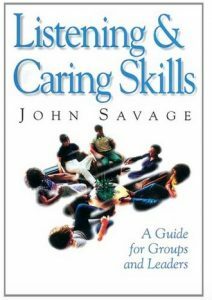 The effective group leader or counselor will be the person who learns how to listen to other people. By studying and employing listening skills, church leaders will engage others more compassionately, allowing them to feel that their needs are being met. 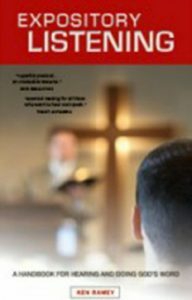 These skills can be used with persons who are terminally ill, inactive at church, going through a divorce, in a family with a severely ill person, unemployed, seeking a new church, grieving, traumatized by catastrophe, going through teenage adolescence, in marriage counseling, or leading a ministry team. 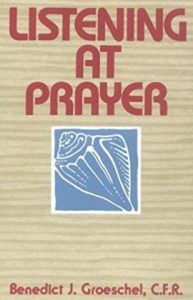 A masterfully simple and useful book on prayer, written by an experienced retreat leader, counselor, and lecturer. 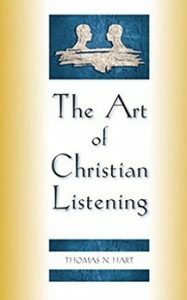 Discusses how listening can be the key to encountering God in a fresh way in our lives. Where do you listen for God? In this new collection of stories and essays, the challenge is to pay attention everywhere. 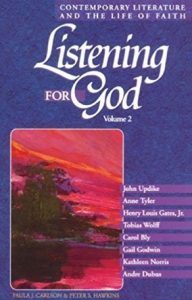 “Listening for God” is a resource intended to help readers investigate how life and faith merge in surprising ways and places. Contemporary American literature may not be the most predictable place to listen for God, but it may well turn out to be among the most rewarding. 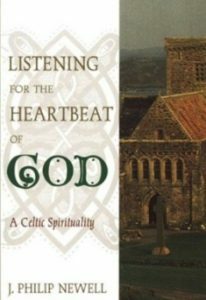 Listening for the Heartbeat of God presents a spirituality for today, modeled on the vital characteristics of Celtic spirituality throughout the centuries. The emphasis is on the goodness of creation and of humanity made in the image of God. 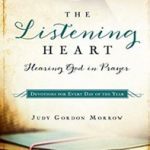 This seminal work in the Listening Hearts series draws on centuries of classic Christian literature and “the silence of prayerful listening” to show how to recognize and define God’s call. 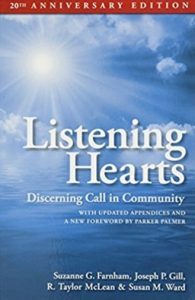 It explains how to eliminate barriers and prepare one’s heart to receive the call – whether it is emphatic, subtle, or seemingly obscure. 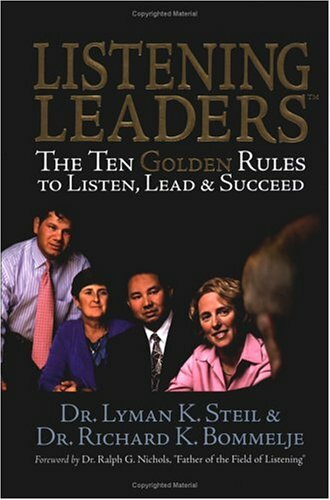 Outstanding leaders are outstanding listeners! 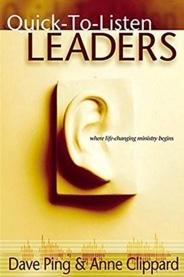 is the simple and irrefutable premise of Listening Leaders. 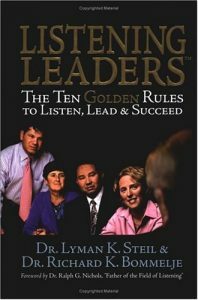 Throughout human history the importance and value of effective listening and leading is well established. As leaders listen, individuals, teams, organizations, and societies thrive. Sales Director Stu Preston has just six months to improve his performance or find another job. Despite his boss’s comment that he is not listening enough, Stu has no idea how to change his performance until he finds an unlikely sage. 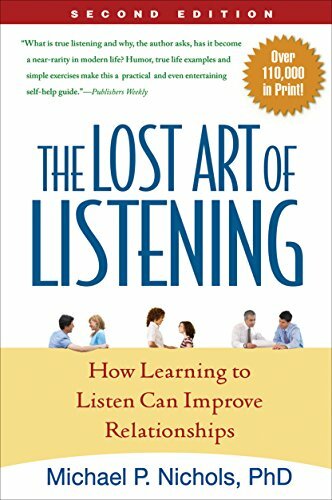 He learns how to listen better at work and in life, and realizes just how important listening can be; it’s the cornerstone of all human behavior. In this true-to-life story, LISTENING PAYS offers a practical and powerful system that can be the path to becoming a great listener. 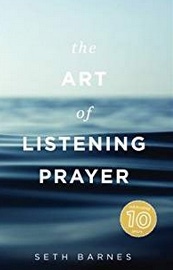 Shows readers how they can experience a fuller, more meaningful prayer life by learning how to listen to God. A proven program for turning effective listening into a powerful business tool In this new edition of her classic guide to the art of effective listening, Madelyn Burley-Allen shows you how to acquire active, productive listening skills and put them to work for you–professionally, socially, and personally. How do children experience and understand God? How can adults help children grow their life of faith? Throughout more than a decade of field research, children’s spirituality experts Catherine Stonehouse and Scottie May listened to children talk about their relationships with God, observed children and their parents in learning and worship settings, and interviewed adults about their childhood faith experiences. 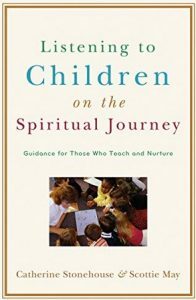 This accessibly written book weaves together their findings to offer a glimpse of the spiritual responsiveness and potential of children. 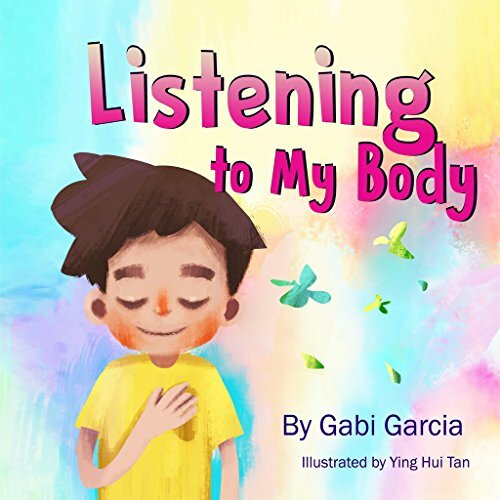 Listening to My Body is an engaging and interactive picture book that introduces children to the practice of paying attention to their bodies. Through a combination of story and simple experiential activities, it guides them through the process of noticing and naming their feelings and the physical sensations that accompany them, while helping them build on their capacity to engage mindfully, self-regulate, and develop a better sense of well-being. 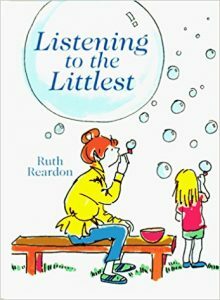 In Listening to the Littlest, Ruth Reardon employs the voices of children to convey wisdom, assurance, consolation, and hopefulness to parents who can learn from the “littlest” if they have ears to hear. In today’s hypercompetitive world, kids often internalize the message that their worth is attached to their accomplishments and that messing up is something to be ashamed of, rather than a normal part of life, which can lead to critical self-talk. Listening with My Heart reminds us of the other golden rule—to treat ourselves like we would treat a friend. When we do this, we are practicing self-compassion. 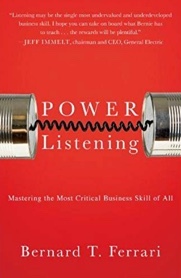 Listening is the most powerful tool for success in business and in life. 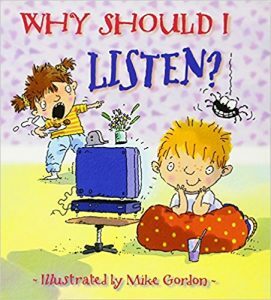 So if it’s that important, why don’t we listen better? Because life moves way too fast, we’re busy, and we don’t know how. 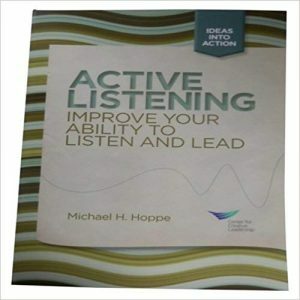 Discover what active listening is and what it is not. Learn four simple actions that will train your brain to listen, and see for yourself the difference these steps make in your life. People need to be heard. If you understand this simple principle you’re well on your way along the road to success. 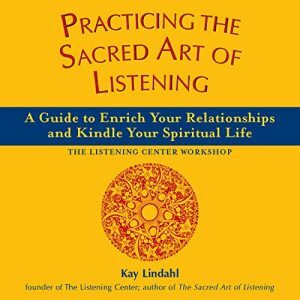 Kay Lindahl’s highly respected workshops are attended by people from a broad range of backgrounds. 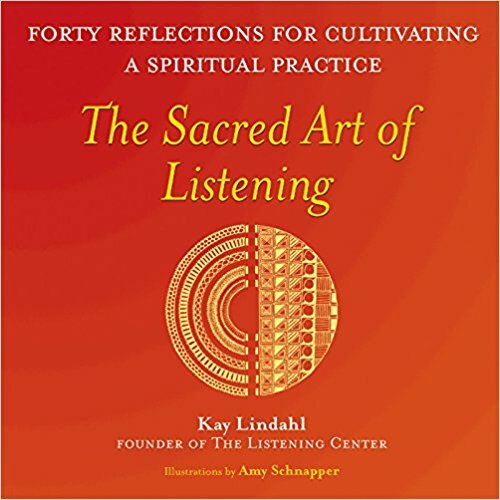 Her first book, The Sacred Art of Listening, has been published to acclaim in North America, Europe, and Asia. 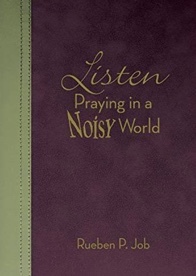 Now she offers practical, easy-to-follow advice and exercises to enhance your capacity to listen in a spirit-filled way. You want to bring healthy change to your church, but are you too busy “doing” and not really “hearing”? Learn how to stop…and practice the simple, centuries-old art of listening. Follow the techniques Christ used to deepen your fellowship and your outreach. 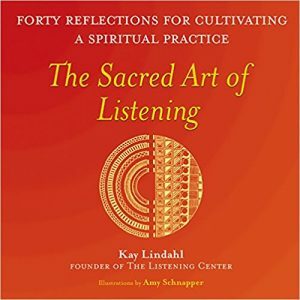 The Sacred Art of Listening guides you through forty practices of deep listening―to our Source, to ourselves, and to each other. 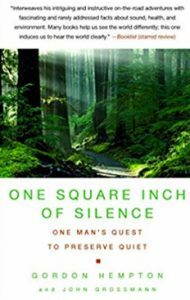 Inspiring text and contemplative artwork combine to communicate the three essential qualities of deep listening―silence, reflection and presence. 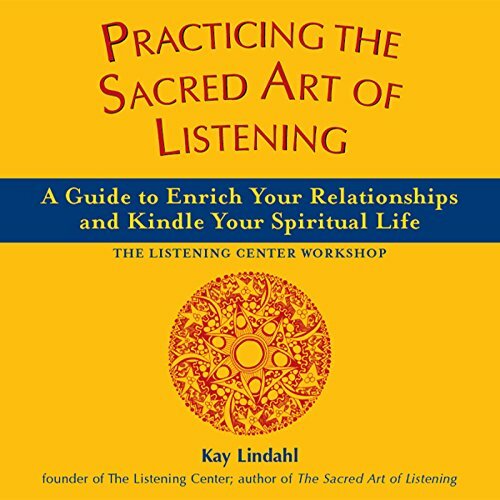 They demonstrate that the key to healthy relationships and spiritual transformation can be as basic as practicing the art of listening. A profound call to Christian discipleship. An intensive course in Christian faith. A creative freedom to serve God that is deeply grounded in Scripture. 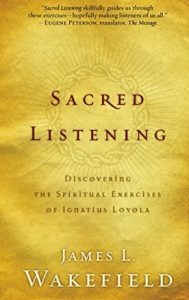 These are ways to describe Sacred Listening, James L. Wakefield’s adaptation of the classic Spiritual Exercises of Ignatius Loyola. In Seven Thousand Ways to Listen, Nepo offers ancient and contemporary practices to help us stay close to what is sacred. In this beautifully written spiritual memoir, Nepo explores the transformational journey with his characteristic insight and grace. He unfolds the many gifts and challenges of deep listening as we are asked to reflect on the life we are given. If you’re a woman who finds herself still talking to men as if they’re your women friends, stop right now and read this book! 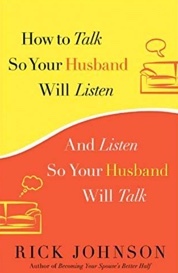 Here’s exactly what you need to do to find out exactly ‘what he meant by that.’ Practical, sensible how-to advice to improve your intimate relationships and all your relationships, simply by what you say, how you say it and how you listen! 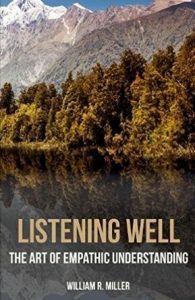 The Art of Listening in a Healing Way“is Jim Miller’s sequel to his popular book, The Art of Being a Healing Presence. 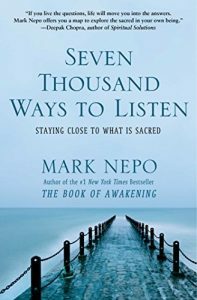 He describes what healing listening is and how it differs from other kinds of listening. 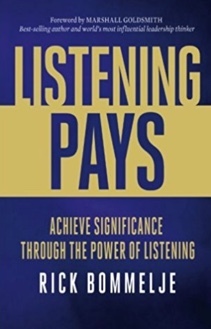 Then 27 short chapters provide helpful insights in how to do this special kind of listening. 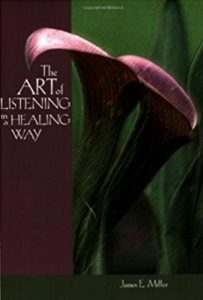 Examples: “A healing listener listens with the eyes.” “A healing listener cleaves to silence.” Interspersed throughout are intriguing quotations from the ages, as well as the author’s floral photography. Explore what it means to experience prayer that really is two-way. 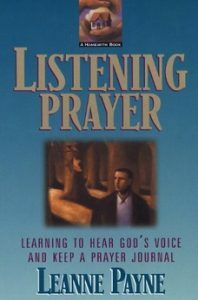 Using the Bible as a foundation, you can go way beyond theory and grow in the practice of listening prayer. Life shouts. God whispers. How can we hear God’s whispers when the struggles and worries of life distract us? How can we quiet our souls? 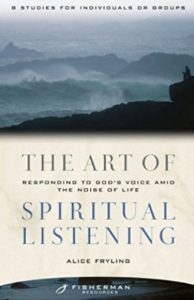 “The Art of Spiritual Listening is about learning to listen to the gentle, persistent voice of God and help others hear God’s voice as well. With insightful and creative reflections, Alice Fryling guides us through Scripture passages that teach us how to experience and hear God more fully. Most people listen at less than a quarter of their capacity. We’re overwhelmed with information, pulled in different directions, and have usually not been taught the most essential listening skills. 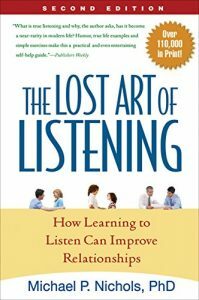 The truth is: the simple key to effective listening is wanting to be good at it. and anyone can do it. Life is full to overflowing, but we crave an illusive more. Via social networking, airwaves, and TV, our culture tells us to strive for more stuff, more activities, more adventure–you name it. Yet we are often left feeling unfulfilled and wanting. Empty, even. 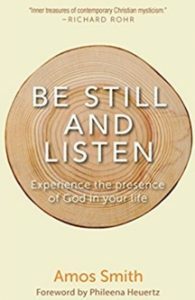 With so many demands for our attention, it is difficult to quiet our minds long enough to hear the still, small voice of our loving Father, and to listen to the One who desires to bring us so much more than the noise of everyday life. 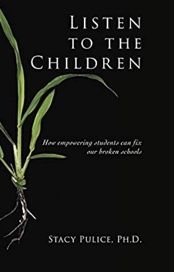 A practical guide that will inspire school, district, and teacher leaders to make substantive change and increase equitable student outcomes. Rooted in the values of equity, relationships, and listening, this luminous book helps reimagine what is possible in education today. 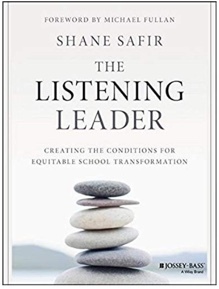 Drawing from more than twenty years of experience in public schools, Shane Safir incorporates hands-on strategies and powerful stories to show us how to leverage one of the most vital tools of leadership: listening. 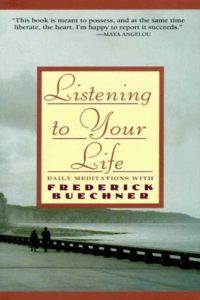 How would our lives change if we approached every experience with the intention of listening first? In this noisy, distracting world, it is difficult to truly hear. People talk past each other, eager to be heard but somehow deaf to what is being said. Listening is an essential skill for healthy relationships, both with God and with other people. But it is more than that: listening is a way of life. Adam McHugh places listening at the heart of our spirituality, our relationships and our mission in the world. 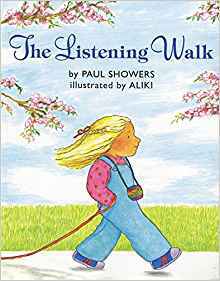 We’re going on a listening walk. Shhhhh. Do not talk. Do not hurry. Get ready to fill your ears with a world of wonderful and surprising sounds. One person talks; the other listens. It’s so basic that we take it for granted. 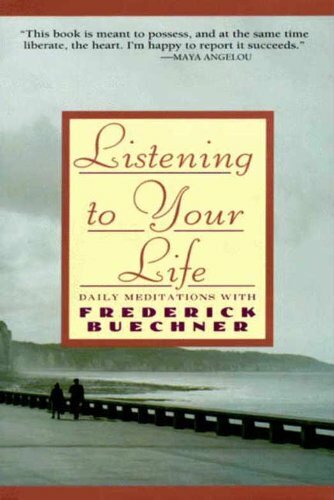 Unfortunately, most of us think of ourselves as better listeners than we actually are. This thoughtful, witty, and empathic book has already helped over 125,000 readers break through conflicts and transform their personal and professional relationships. 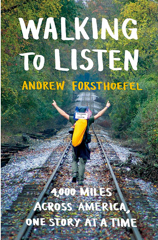 With the help of a lot of practice, a young boy learns from his old teacher how to listen to the sounds and songs of the natural world, from a wildflower seed bursting open to the voice of the corn in a cornfield..
At 23, Andrew Forsthoefel headed out the back door of his home in Chadds Ford, Pennsylvania, with a backpack, an audio recorder, his copies of Whitman and Rilke, and a sign that read “Walking to Listen.” He had just graduated from Middlebury College and was ready to begin his adult life, but he didn’t know how. So he decided to take a cross-country quest for guidance, one where everyone he met would be his guide. We may think we’re good listeners, but not many of us are. When others talk, we focus on what we think, rather than what they are trying to say. Few of us know how to use the power of listening to improve life for ourselves or those around us. Dr. Jim Petersen says that good communication uses the same skills in a professional office, on a date, in a corporate board room, or at a kitchen table. 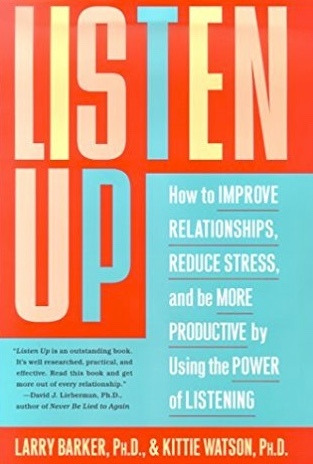 This book can help you learn to listen your way to better relationships, from intimate to casual or work-related. When children are caught up by the excitement of the moment, they sometimes forget to listen—and the result might be an accident or an avoidable mistake. 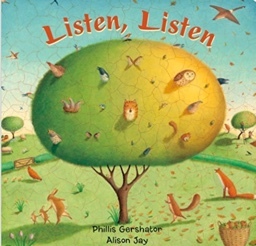 This book helps them understand the importance of listening to parents and teachers. 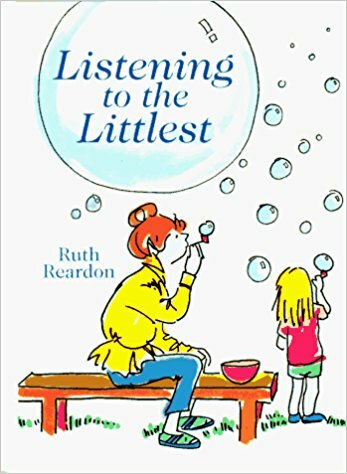 Kids will be attracted by the amusing color illustrations on every page, and parents and teachers will appreciate the note at the back of each book offering further suggestions on answering children’s questions.